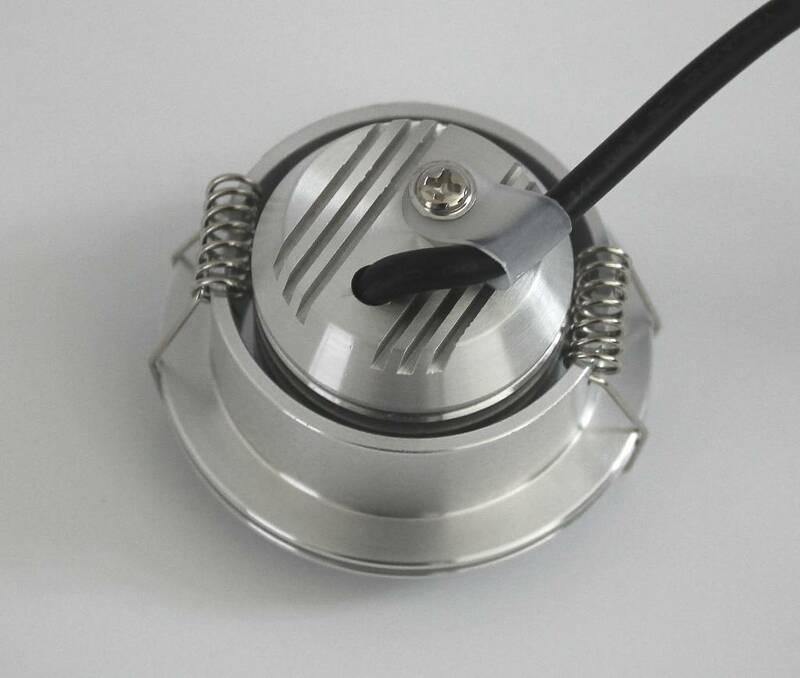 This Led downlight is IP65, splashproof and dustproof. 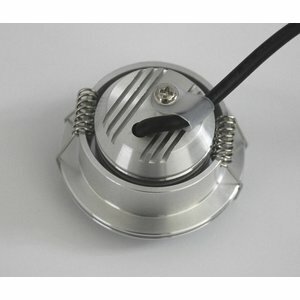 The LED spot is tiltable up to 30 degrees and has a diameter of 52mm. The light output is 3 watt Cree LED chip is very good and the light color 2700k warm white. Complete with dimmable power supply. Very tight and high-quality mini LED recessed spot. Universally applicable with a sealing class of IP65, so suitable as bathroom lighting. Because the spot has only 3.5 cm built-in height, it is also suitable as cove lighting and many other applications. The mat aluminum lamp is tiltable up to 30 degrees. The light output of the 3 watt LED (brand cree) lamp is very good 220Lm and gives a warm color light 2700k The LED spot is equipped with a lens with a 30 degree light angle and comes complete with a dimmable LED driver 700mA. Ready for installation! Dimmable with common LED dimmers and tronic dimmers. Sealing class is IP65 Splashproof and dustproof. For more information about the zone layout you can read here.